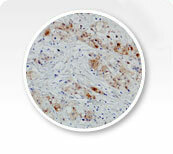 Epitomics EP Clone® antibodies are rabbit monoclonal antibodies that have been specifically developed for use exclusively in pathology laboratories for immunohistochemical staining of formalin-fixed paraffin embedded tissues and have been optimized with respective pre-treatment methods and detection systems. 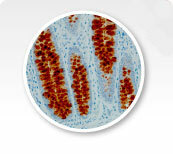 Epitomics EP Clones are sold in compliance with regulation for IHC antibodies and detection systems in the United States. These products are manufactured under FDA's Quality System Regulation (21 CFR, Part 820). Each product is either labeled "In Vitro Diagnostics (IVD)" or "Analyte Specific Reagents (ASR)" based on its intended applicationn. Every EP Clone was developed with the goal of being the highest possible quality antibody available for its target. > View more Breast Cancer markers here. > View more Colon Cancer markers here. > View more Lymphoma markers here. 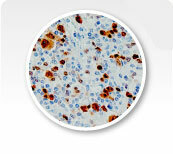 EP Clones™ antibodies are rabbit monoclonal antibodies that have been specifically developed for use exclusively in pathology laboratories for immunohistochemical staining of formalin-fixed paraffin embedded tissues and have been optimized with respective pre-treatment methods and detection systems. Sign up to receive future product updates and offers from Epitomics - an Abcam Company.